Jet fuel, building materials, metals and plastics—all are products of process technology. Process technology involves every aspect of chemical processing, including extracting chemicals such as oil and natural gas, refining them and carefully monitoring the process that makes it happen. Special instrumentation, pumps, turbines and compressors are designed to monitor and separate the chemicals that make up countless products we use every day. Process technology spans many industries. Power plants depend on it to maximize output and minimize emissions. Waste and water-treatment plants use it to monitor industrial waste, environmental impact, and human health and safety. In the pharmaceutical industry it is even used to develop the coating on aspirin. Local industry is predicting a large turnover of process technicians in the near future. Over the last 20 years, the process technician's job has become very demanding. The equipment is complex and now mostly controlled by computers. The process technician must be able to work in teams, react to situations rapidly and handle stressful situations. There are currently about 2,000 people enrolled in process technician training programs on the Gulf Coast, with tens of thousands of jobs in the next five years. Current starting pay rates for a process technician with an associate degree is about $55,000 to $65,000 per year, or about $25 per hour. An operator can make as much as $85,000 to $90,000 per year with overtime and holiday pay. College of the Mainland closely partners with the local industry to insure the right competencies are being taught in the classroom. 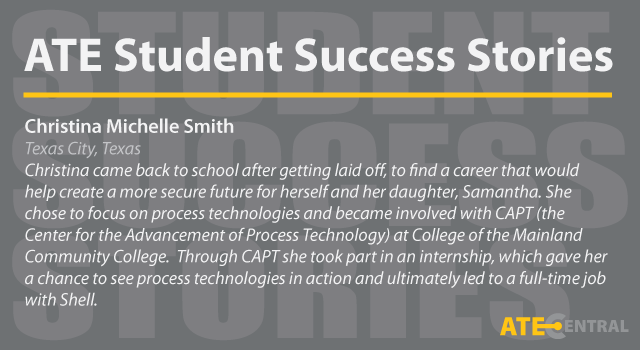 COM students have been extremely successful in their new jobs, and several have set new records on entrance exams given by the local industry. Data from the state of Texas shows that the COM PTEC program has the highest placement rate after graduation of all PTEC programs in Texas. Starting salaries for COM graduates with technical degrees average $73,509 annually – the highest average starting salary of any university or college graduate in the state, according to a study by College Measures. COM is affiliated with ATE TV. Wherever you live or work along the upper Texas Gulf Coast, you'll find state-of-the-industry workforce training at your nearby community college! The Community College Petrochemical Initiative consists of community colleges and school districts in the greater Houston and Texas Gulf Coast area, each providing skills training for the region's businesses and industries. "This is the best-kept secret there is. This year I'll probably make $125,000 (with overtime). For about $10,000 you can get a degree making that kind of money." 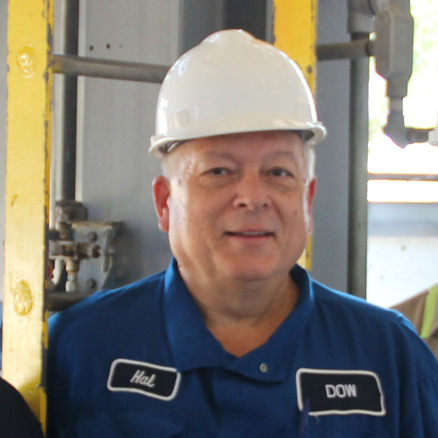 – Hal Pollack is a degreed chemical process operator at Dow Chemical Co. in Freeport. Read his family's story.